on the outside while staying moist on the inside. splattering, DO NOT use the roasting rack when broiling. 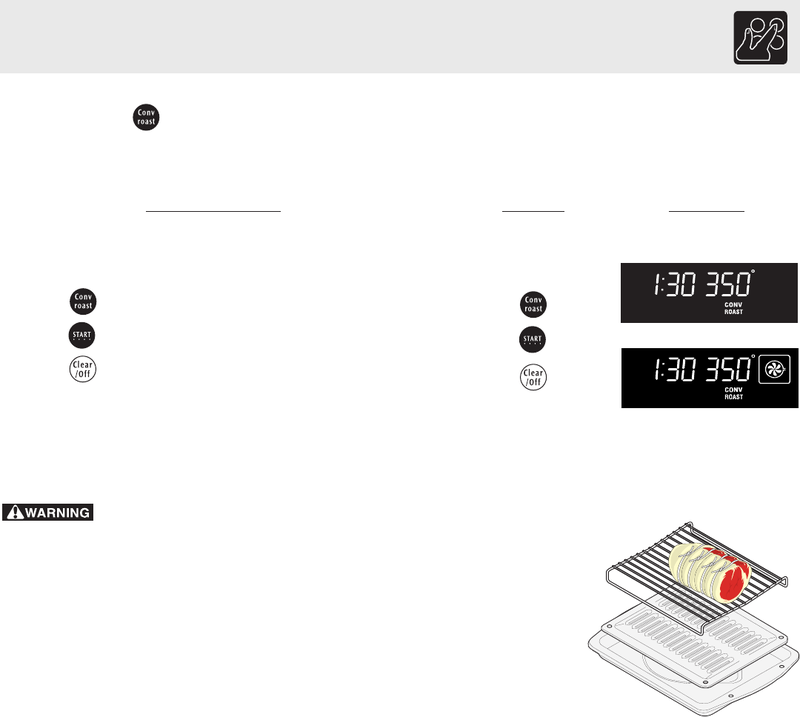 Racks in the Before Setting Oven Controls section. cover the insert with aluminum foil. 3. Position food (fat side up) on the roasting rack (See Fig. 4). 4. Place the broiler pan on the oven rack. 1. Arrange interior oven racks and place food in oven. 3. Press . (See Fig. 2) The convection fan icon will come on. Press to stop Convection Roast at any time.